SPORTMiX is a line of dog and cat food products carefully crafted by Midwestern Pet Foods. We create our own nutritious recipes, selectively choose our ingredients and prepare our foods with care in our state-of-the-art family owned kitchens located in the US. Midwestern Pet Foods was founded in 1926 as a small milling company and is now in its 4th generation of family leadership. We independently manufacture our pet foods and treats and do not specialty co-pack for any other brands. Midwestern Pet foods has an unblemished safety record, never having had a product recall. Does Midwestern Pet Foods have a veterinary nutritionist on staff? Who formulates SPORTMiX products? A board-certified nutritionist (Ph.D., P.A.S., D.A.C.A.N., C.N.S, P.F.S ) creates all of our nutritious recipes. Where can I buy SPORTMiX products? Find your nearest SPORTMiX retailer. Please contact the store directly to ensure they carry the specific recipe you are looking for. How can I contact Midwestern Pet Foods? At Midwestern Pet Foods, we take great pride in crafting high-quality pet products and providing world class customer service. We answer each email in the order they are received, and a personalized response is provided to each message. Please allow 2-3 business days for a response to your inquiry. Our Consumer Affairs team is available Monday – Friday 8:00 AM – 5:00 PM CST. You can contact us here. What safety and quality control measures are used by Midwestern Pet Foods? Which SPORTMiX foods meet AAFCO requirements? All SPORTMiX foods are designed to provide complete and balanced nutrition and meet Association of American Feed Control Officials (AAFCO) requirements. What testing is done beyond AAFCO trials? Midwestern Pet Foods conducts a variety of comprehensive food safety-related tests and studies, including salmonella, ebac, clostridium, plate count, etc., as well as numerous digestive and stability related studies. Are animals tested in laboratories? Midwestern Pet Foods is committed to the humane treatment of all animals and does not test on animals in laboratories. When introducing a new product, Association of American Feed Control Officials (AAFCO) feeding trials are completed at a farm with an in-home atmosphere that is non-invasive, non-lethal and cage-free. All animals are humanely treated. Are there any current recalls? No, Midwestern Pet Foods has an unblemished safety record, never having had a product recall. What recipe is best for my pet? With so many great formulas available, it can be difficult to navigate. Please click to send a message to our Consumer Affairs team. We will gather more information about you and your pet(s) and will be happy to help you with this decision. How can my pet try this product? All SPORTMiX products do have a 100% guarantee, so if you are not satisfied for any reason, you can return the product with the packaging and receipt to the retailer. 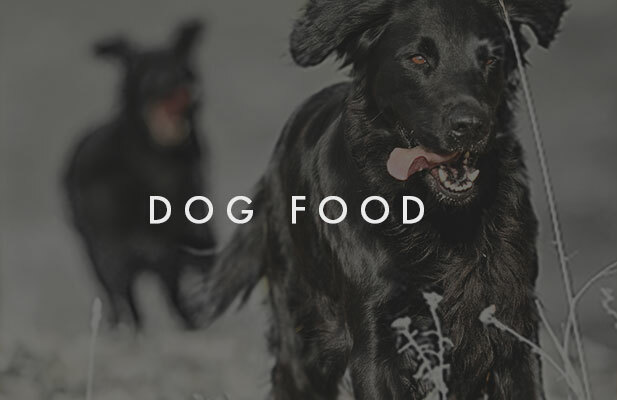 We would love to help you find the best SPORTMiX recipe for your pet. Please click to send a message to our Consumer Affairs team so we can get more information about you and your pet. For a food to be classified as all life stages, it must pass a certain protocol used by the Association of American Feed Control Officials (AAFCO) to determine if the food has the nutrient content necessary to fully support multiple stages of life. These are gestation, lactation, growth, and maintenance. A food with this classification may be used for a pet in any of these life stages so long as the correct amount is fed. However, certain specific life stage foods may be more appropriate in meeting the nutritional needs of puppies, large breed dogs, small breed dogs, and those needing to control or lose weight. Why do different recipes have different kibble sizes? Midwestern Pet Foods offers many different shapes and sizes of kibble depending upon the formula. We choose the shape and size of the kibble, in part, to ensure the food is cooked just right for maximum palatability, digestibility, and performance. An added benefit is that this provides pet owners a variety of choices in case their dog has specific needs. For example, larger breeds will need a large sized kibble to encourage them to eat more slowly and chew their food, while the same kibble would be difficult for a smaller breed to eat. Please refer to the kibble charts below to determine which formulas might be a good size and shape for your pet. Why is the kibble in this bag a different size from my last bag? Sometimes the size of the kibble may vary slightly depending on the cook of the product (how much it puffs up). This means that although the exact same recipe is used, ingredients are carefully measured, and the same process is followed, sometimes the kibble will puff up and be rounded and other times the pieces will turn out flatter. Although consistency is our goal, variation is natural. It doesn’t affect the taste of the food or the nutrients. With the health and safety of your pet in mind, we choose only ingredient sources we can trust. All ingredients used in our SPORTMiX products are thoroughly tested and undergo many checkpoints to ensure safety and quality standards are met. First, suppliers run a multitude of tests before sending any ingredients to our manufacturing facilities. Next, the ingredients are typically tested as they arrive at our manufacturing plant before they are accepted and unloaded from their shipping containers. Lastly, finished product is tested again. In our long history Midwestern Pet foods has an unblemished safety record, never having had a product recall. Are there ingredients from China in this food? Midwestern Pet Foods sources all ingredients from US suppliers whenever possible. Some examples of ingredients that must be sourced outside the US are lamb meal from Australia or New Zealand and flaxseed from Canada. Vitamin premixes are formulated, sourced and blended in the United States by a US company in a human grade facility. All ingredients are thoroughly tested and undergo many quality checks to ensure safety. How do I transition my pet to SPORTMiX? Pets, like people, are all different. Some can handle switching foods easily without any problems. Others with more sensitive stomachs cannot handle change well and experience digestive issues. We recommend taking 7 to 10 days when changing your pet’s food. Please refer to the transition chart below for further guidance. Can I switch between SPORTMiX recipes? It is important to note that all SPORTMiX recipes are individual formulations, and not just different flavors of the same thing with a few ingredients swapped out. For that reason, we recommend that you take 7 to 10 days when changing your pet’s food, even within the same brand. This is even more important when the formulas have different protein sources. Pets, like people, are all different. Some can handle switching foods easily without any problems. Others with more sensitive stomachs cannot handle change well and experience digestive issues. You know your pet best so use your best judgement. To be on the safe side, a gradual switch is always best. Please refer to the transition chart below for further guidance. Our best recommendation would be the SPORTMiX Puppy Small Bites recipe since it is specially formulated to meet the unique needs of growing puppies of any size and breed. Our Wholesomes Chicken & Rice or Wholesomes Whitefish & Chickpeas formulas would also be great choices as they are all life stages formulas, including all breeds of puppies. An all life stages formula simply means that it meets the Association of American Feed Control Officials (AAFCO) guidelines for the nutritional needs of both puppies and adult dogs. After the puppy stage (typically around one year of age), your dog can be transitioned to any SPORTMiX formula. We recommend taking 7 to 10 days when changing your pet’s food, even within the same brand. In general, small breed dogs should remain on a puppy formula for 10 to 12 months; for larger breeds, it is 12 to 16 months; and for giant breeds, like Great Danes, it is 24 months. We recommend that you work with your vet to determine when your dog is ready for this change. What recipe is best for a puppy or dog with allergies? With so many great formulas available, it can be difficult to navigate this choice. Please click to send a message to our Consumer Affairs team. We will gather more information about you and your pet(s) and will be happy to help you with this decision. Is it necessary to supplement additional vitamins, minerals, etc.? We believe that our SPORTMiX recipes are some of the best on the market today in their price range. All nutrients are carefully balanced, the food is fortified with key ingredients and processed with great care. The addition of any other supplement is typically not necessary and could upset the balance of nutrition provided by the foods. Where can I find specific nutritional levels (phosphorus, calcium, ash, etc)? At Midwestern Pet Foods, your pet’s health is important to us. Sometimes pets do have issues that require additional care regarding certain components of their food. Please click to contact Consumer Affairs and request additional information. Pets, like people, are all different. For that reason, there is no specific number of treats per day that should be fed. Typically, treats should not make up more than 10% of their daily calories. Using this guide, that means a small dog with an average metabolism would usually get about 3 or 4 treats per day. In contrast, a typical Golden Retriever eats around 1,000 calories per day so they might receive 5 to 10 treats per day if they are active. The most important thing is to pay attention to your dog and make sure that they are maintaining a good weight and eating a healthy and well-balanced diet. Is it OK for my dog to eat my cat’s food or vice versa? Should there be an inadvertent feeding mix-up, please know that there is no cause for alarm. However, SPORTMiX® recipes are specifically formulated with your animal’s optimal health in mind. Because dogs and cats have unique nutritional needs and different digestive systems, their foods are made with those requirements in mind. Dogs should only eat dog recipes and cats eat cat recipes to ensure that all their nutritional needs are being met. What is the shelf life of SPORTMiX products? Please refer to the expiration date on the packaging. We do not recommend feeding any food or treat after the expiration as the freshness, palatability and nutritional content will be diminished. How long will the food stay fresh after opening? Once exposed to air, dry kibble can begin to go stale and can become less enjoyable for the pet. We recommend that you feed your pet within 4-6 weeks from opening the bag. Remember to properly seal the food between feedings as exposure to air reduces shelf life. What if my pet cannot eat a whole bag in a reasonable amount of time? The expiration date on SPORTMiX dry pet foods is stamped on the back of each bag, along the top of the package. The first line will reflect the expiration date and will appear on dry products like: EXP 16/NOV/18. Expiration dates are listed by day, month and then year. Why is the expiration date stamped on the part of the bag I throw away? The expiration date is stamped on the packaging during the same process, and with the same machine, that seals the bag. Because of this, the expiration date stamp (also known as a bag code or date code) and the seal must be next to each other. We have always positioned our SPORTMiX line as a no frills line with an everyday low price. We do not currently offer a Frequent Buyer Program or coupons for our SPORTMiX products. All SPORTMiX products are 100% guaranteed for taste and nutrition. If you are unsatisfied for any reason, simply return any unused food along with the bag and receipt to the authorized retailer where it was purchased for a full refund or exchange. Ask your retailer for details. Please note: Midwestern Pet Foods strongly advises against purchasing SPORTMiX products from unauthorized resellers. A full listing of independently-owned-and-operated authorized retailers and online partners is available . If you find a SPORTMiX product at a retailer not on this list, it may have been acquired through non-traditional means and as a result could be tampered with, expired, stored improperly, or counterfeit. Didn’t find your answer? Send us a note!